¶ 78 Leave a comment on paragraph 78 0 Cole, M. (2009). 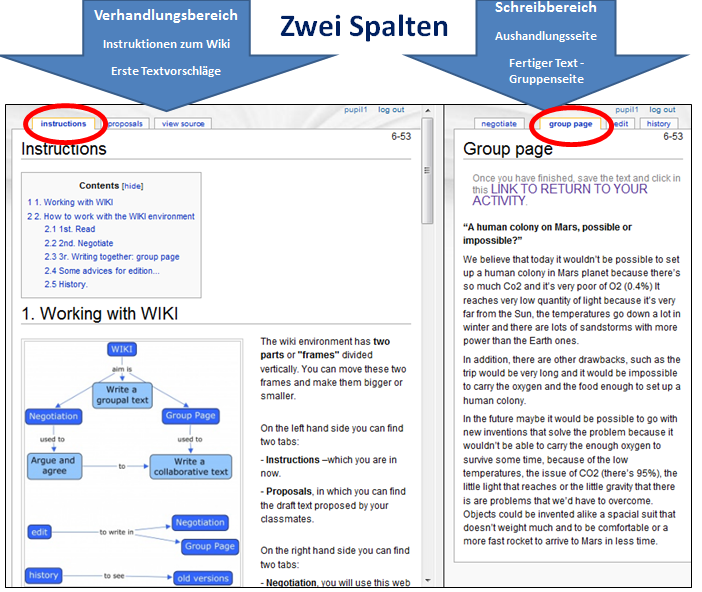 Using Wiki technology to support student engagement: Lessons from trenches. Computers & Education, 52 (1), pp. 141–146. ¶ 79 Leave a comment on paragraph 79 0 Dawes, L., Mercer, N., & Wegerif, R. (2000). Thinking together: A programme of activities for developing thinking skills at KS2. Birmingham: The Questions Publishing Company Ltd.
¶ 80 Leave a comment on paragraph 80 0 Dodge, B. (1995). WebQuest: A technique for Internet-based learning. Distance Educator, 1(2), pp. 10–13. ¶ 81 Leave a comment on paragraph 81 0 Mercer, N. (2000). Words and Minds: how we use language to think together. New York: Routledge. Mercer, N., & Littleton, K. (2007). Dialogue and the Development of Children’s Thinking: A Sociocultural Approach. London: Routledge. ¶ 82 Leave a comment on paragraph 82 0 Pifarré, M. & Kleine Staarman, J. (2011). 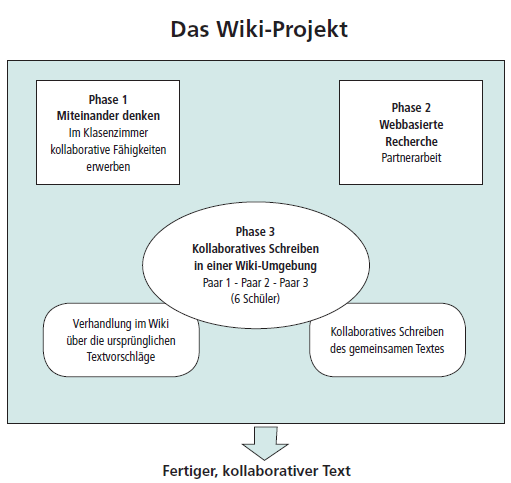 Wiki-supported collaborative learning in primary edu- cation: How a dialogic space is created for thinking together. International Journal of Computer-Supported Collaborative Learning, 6(2), pp. 187–205. ¶ 83 Leave a comment on paragraph 83 0 Pifarré, M. & Fischer, R. (2001). 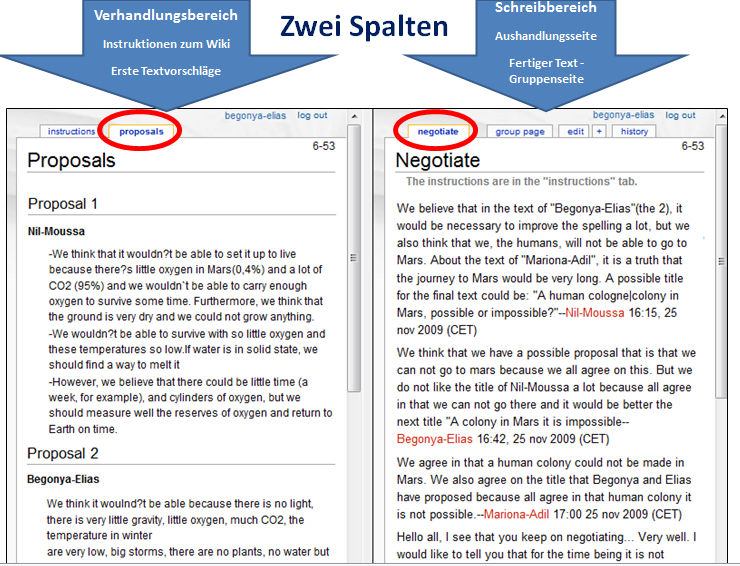 Breaking up the writing process: How a wiki can support the composition and revision strategies of young writers. Language and Education, 25(5), pp. 451–466. ¶ 84 Leave a comment on paragraph 84 0 Pifarré, M. (2010). Inquiry Web-Based Learning to Enhance Knowledge Construction in Science: A Study in Secondary Education. In: Morris, B. A. & Ferguson, G. M. (Eds.). Computer-Assisted Teaching: New Developments. New York: Nova Publishers. ¶ 85 Leave a comment on paragraph 85 0 Ravenscroft, A. & Mathenson, M. P. (2002). Developing and evaluating dialogue games for col- laborative e-learning interaction. Journal of Computer Assisted Learning. Special issue: Context, Collaboration, Computers and Learning, 18(1), pp. 93–102. ¶ 86 Leave a comment on paragraph 86 0 Wegerif, R. (2007). Dialogic Education and Technology. New York: Springer. ¶ 87 Leave a comment on paragraph 87 0 Wegerif, R., & Dawes, L. (2004). Thinking and learning with ICT: raising achievement in primary classrooms. London: Routledge.